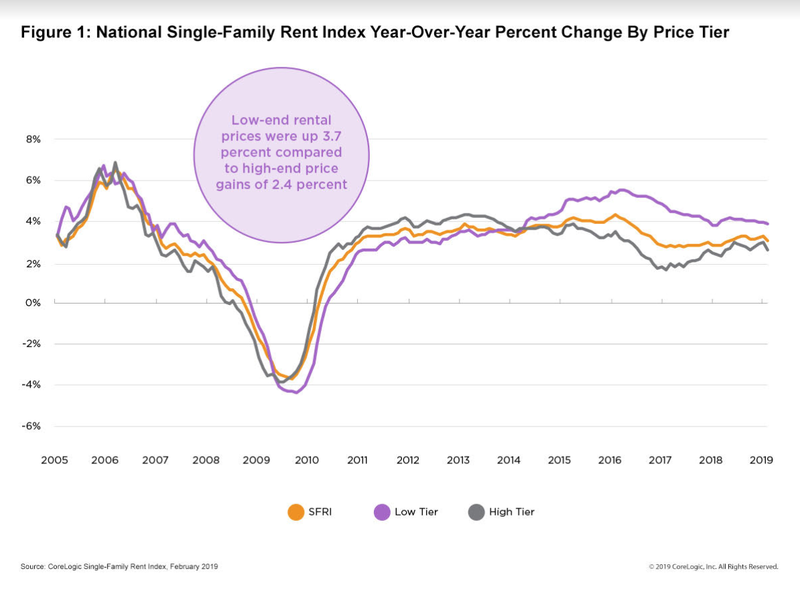 Rent prices in southwestern states continue to soar to unprecedented heights, according to new CoreLogic data released Tuesday. 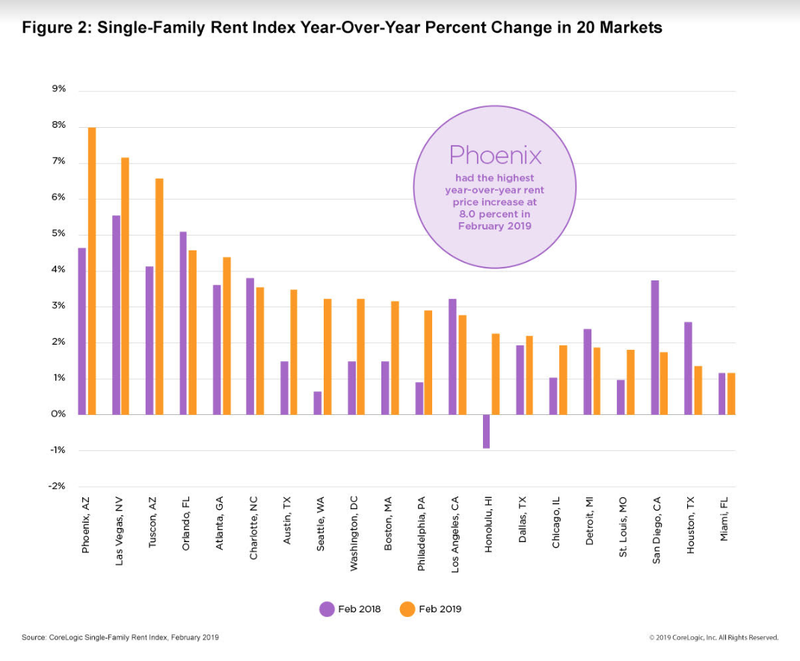 The cost of renting a single-family home increased by 2.9 percent nationwide and by 8 percent in Phoenix in February, according to the new analysis. The average single-family home now rents for $1,430. While prices rose by only 2 percentage points since the same time last year, some pockets of the country have been experiencing drastic changes. At 8 percent growth, Phoenix had by far the highest growth in the US. But Las Vegas and Tucson followed close behind, at 7.1 percent and 6.5 percent, respectively. According to CoreLogic, lack of inventory was the main reason behind such high growth. Limited new construction and low rental vacancies create steep compensation for the few affordable rental properties available in those metro areas. Low-rental homes, which are classified as properties whose rent costs less than 75 percent of the regional median, have been driving the increases across the country. They grew at the highest rate, by 3.7 percent, since February 2018. As with rising home values, rent prices reflect certain trends across the country. As cities like Phoenix and Las Vegas attract new residents, subsequently creating job opportunities, housing is not getting built fast enough to meet demand. As a result, people are pushed to pay more for the few available homes on the market. “Metro areas with limited new construction, low rental vacancies and strong local economies that attract new employees tend to have stronger rent growth,” reads CoreLogic’s report. Article image credited to Robert Murray on Unsplash.